There are many sights to see within Buenos Aires but perhaps none with such a profound relevance to the political struggles of the Argentine people. 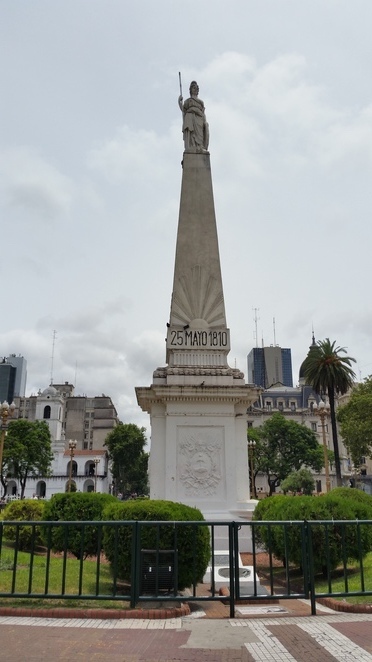 Having very few days in Buenos Aires, I decided to place the Plaza de Mayo high on my list of to-see tourist attractions. The Plaza de Mayo is surrounded by impressive historic buildings. The Plaza de Mayo is easily accessible by a variety of metro stations and a short walk will take you straight to the heart of Argentine political life. 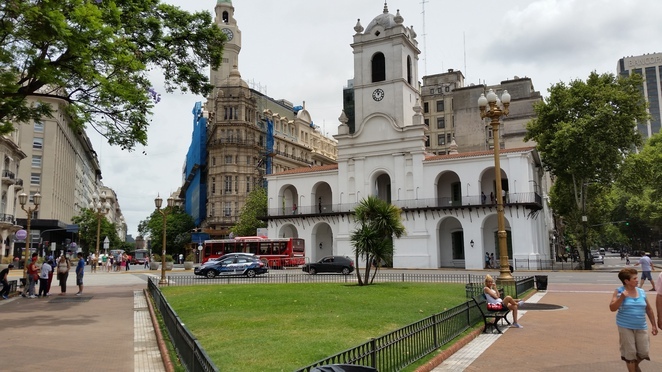 It is located in front of the Casa Rosada (the federal parliament building in Buenos Aires) and flanked by many impressive buildings and avenues. The fallen vazlues of Argetine society and the distinctive white scarves of the Mothers of Mayo can be seen on the pavement in the background. This has been the site of many famous protests and riots over the years. Many tourists, including myself, have heard of this historic site due to the famous protest of the Mothers of the Plaza de Mayo. During the Argentine military dictatorship many people were taken as political prisoners, tortured, and the quietly 'disappeared'. 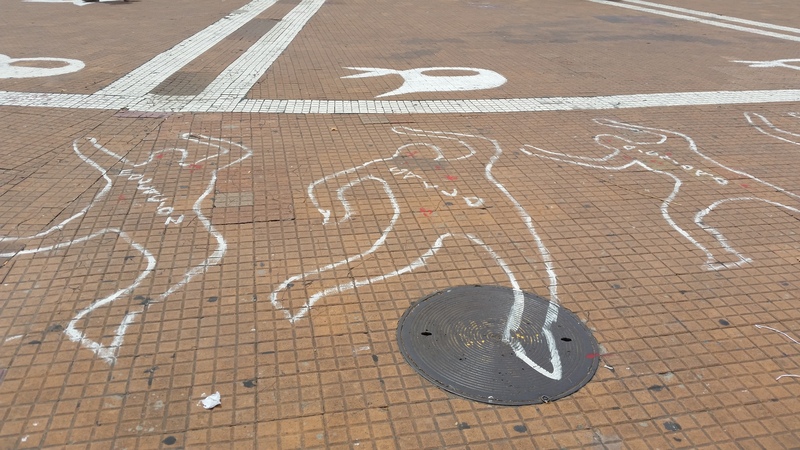 In 1977 the mothers of many of these 'desaparecidos', took to the streets of Buenos Aires with placards and photos of missing friends and family members and stood together in the Plaza de Mayo protesting the regime that took so many loved ones. A pro-womens rights statement in front of the Casa Rosada. As I walked the plaza and absorbed the significance of the site my sight was drawn to the current day political protests being made in the plaza. Women's rights to choose was something I was shocked to see. I'd assumed that this was an obsolete argument but in current day Argentina women still have no access to legal abortion. The May Pyramid celebrates Argentina's independece from the Spanish empire. There are monuments placed around the plaza. The central attraction is the May Pyramid, which commemorates the independence of the 'provinces of Mar de la Plata'. Also located within the plaza is a small field filled with crosses representing the 649 lives lost in the struggle with England over the Falkland Islands in 1982. 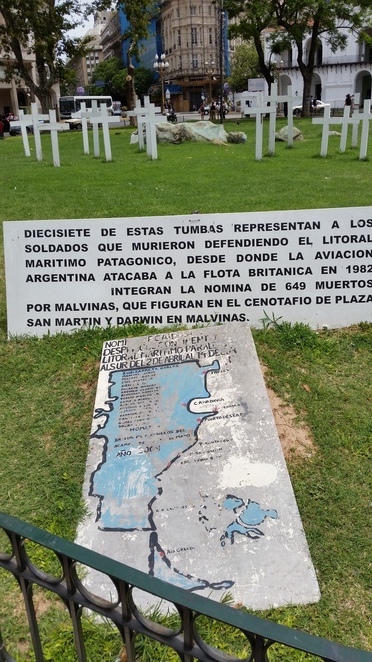 A memorial commemorating the lives of the soldiers lost during the Falkland War. Visiting the Plaza de Mayo and sitting beneath the large shade trees contemplating the past and current struggles of the Argentine nation is a sobering experience. As an Australian, it is difficult to comprehend some of the realities Argentina has passed through and the repercussions the country is still experiencing. As I watched people pass by, seeing children play and hearing street vendors hawking their wares I could not help but think this country has, and will, flourish. Why? 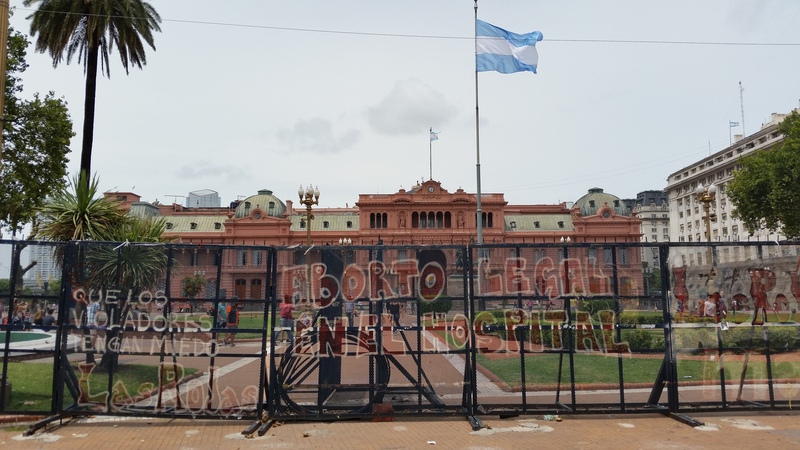 Explore Argentine political history.